These gold stocks to buy should soar on broader market fears and favorable seasonality trends. It’s one of the toughest questions to answer this year: amid all the fears and uncertainties in the broader markets, why haven’t gold stocks jumped in valuation? The traditional safe haven asset hasn’t looked good since collapsing in 2013. And despite some promising developments, every move up is seemingly fiercely contested. Although it’s a tired sentiment, investors should note that this time could really be different. For one thing, the bullion sector, and to a large degree, gold stocks, perform well during periods of market fear. Honestly, what better word describes the current mainstream emotion? Although the benchmark indices have recently put up strong numbers, the Dow Jones is still down 1.6% year-to-date. Next, we have to consider the Trump factor. Our President doesn’t lack anything in the confidence department, but political competency is another matter. No, I’m not delivering a cheap shot at our Commander-in-Chief. Rather, I’m suggesting that his diplomatic skills will be tested in a baptism of fire. Maybe it will work out, or maybe it won’t. Either way, gold stocks to buy don’t seem like a bad idea! Finally, gold prices may see a seasonality boost. Since 1999, the second quarter on a year-over-year basis produces the strongest gains. Granted, the margins are small: the second quarter averages 10.1% YOY returns, while the worst quarter (the first) produces 9.6% returns. Still, it is a statistical advantage. With all that’s going on right now, precious metals are a smart play. 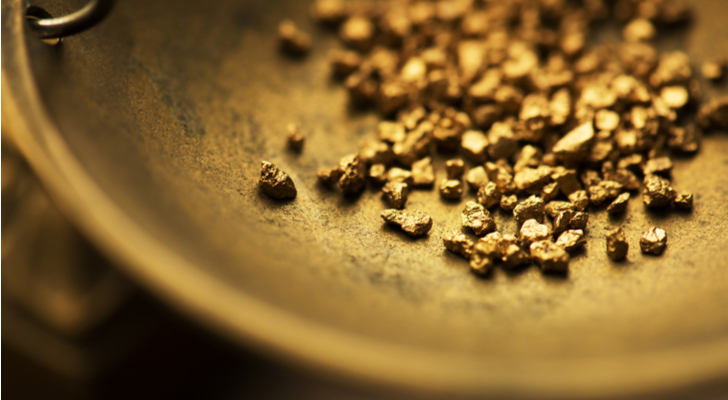 Here are seven gold stocks that will find a momentum burst this spring! One of the biggest temptations in gold stocks is seeking out the cheapest name possible. While that could be a lucrative play, the probabilities aren’t very favorable. Instead, with a potential industry upturn on the horizon, you should load up with quality investments. In the precious metals mining sector, few are as renowned as Barrick Gold Corp (USA) (NYSE:ABX). ABX stock is intriguing particularly due to its fundamentals. Unlike lesser firms that simply folded during the metals fallout, Barrick rolled up their sleeves and got to work. Recognizing top-line hardships, management made tough but necessary decisions to streamline the organization. The results are conspicuous. Over the last four years, SGA expenses declined from $412 million to $301 million, or a 27% reduction. Other unnecessary operating expenses were eliminated, helping to free up $66 million from four years prior. Thanks to their efforts, ABX went from losing $2.9 billion in 2014 to producing $655 million, and $1.44 billion in net income over the past two years. But despite these significant achievements, ABX stock is down 12.6%. I think this is an overreaction. 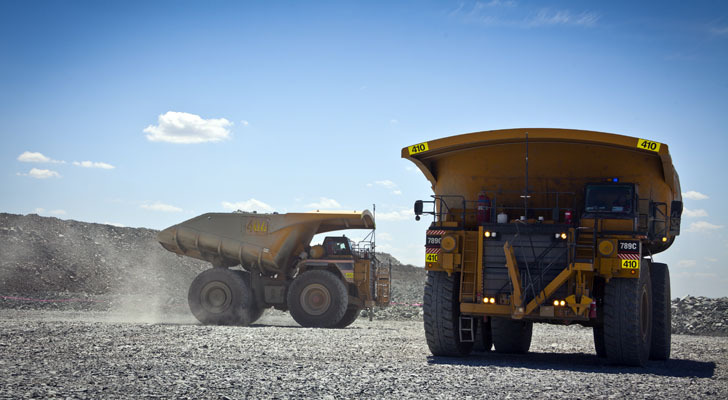 Barrick is a much leaner and more efficient company than it was during the metals downturn. In addition, it’s also profitable – something that not too many in the sector can say. Pure gold mining operations tend to be all-or-nothing affairs: either the project produces gold and other precious metals, or it does not. I understand that this scenario appeals to many gold stocks investors; however, other people want a reasonable exposure level to the mining industry. For the latter, Royal Gold, Inc (USA) (NASDAQ:RGLD) fits the bill perfectly. 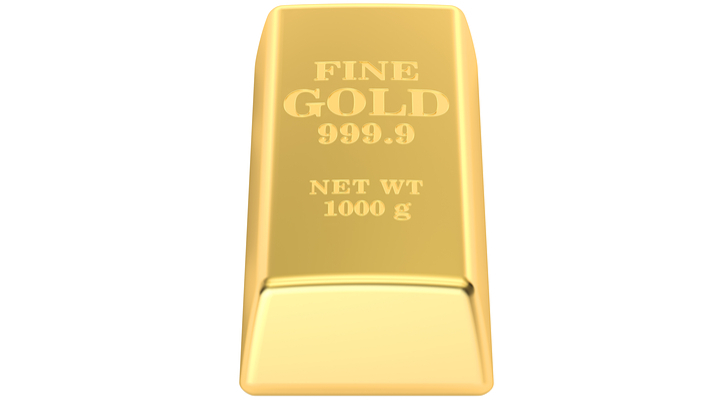 Royal Gold utilizes a streaming and royalty-based business model. Among several advantages, streaming allows RGLD to gain exposure to multiple asset-producing projects without incurring onerous risk. Furthermore, the company’s budgeting and planning are much more predictable and accurate since they’re only dealing with actual producers. Investors love it, which is why RGLD stock has weathered the storm better the most. On a YTD basis, shares are up 6.4%, which by itself is nothing to write home about. However, with benchmark indices struggling to return to black ink, RGLD has contributed a comparatively impressive performance. Moreover, we can likely anticipate increased bullishness in the near future. In recent weeks, the underlying gold market turned positive for the year. Given the domestic and geopolitical uncertainties facing the Trump administration, gold could rise simply due to risk-adverse sentiment. If that’s the case, I’d keep a close eye on RGLD. A significant but sometimes overlooked benefit to an industry downturn is that it forces participants to streamline their operations. To achieve this, competing organizations will consider consolidations. By pooling resources together, the combined entity will have a better chance to survive and thrive. 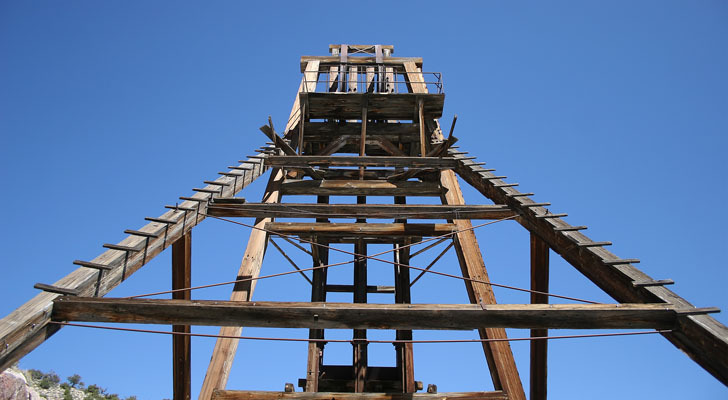 For Alamos Gold Inc (NYSE:AGI), it simply made sense to acquire Richmont Mines. Upon completion, AGI would gain high-grade projects in their portfolio while improving its balance sheet. Moreover, Alamos can maintain its cost-efficiencies, and helping it return to profitability. So far, I’m impressed with the results. Last year, AGI rang up nearly $543 million in top-line sales, an 88% improvement from four years prior. Additionally, management has chipped away at their SGA expenses, bringing it down to $21.7 million in 2017. In the prior year, SGA had crept up to $26.5 million. Overall, Alamos’ efforts delivered a $26.6 million net income after multiple years deep in the red. So far, the markets are ignoring the fundamentals. On a YTD basis, NEM stock is down 16.6%. However, since hitting bottom on March 12th, NEM shares have jumped more than 11%. With potential tailwinds along the way, this smart organization could surprise Wall Street. Despite 2018 setting up as the year to acquire gold stocks, no sector is immune from market irrationality. 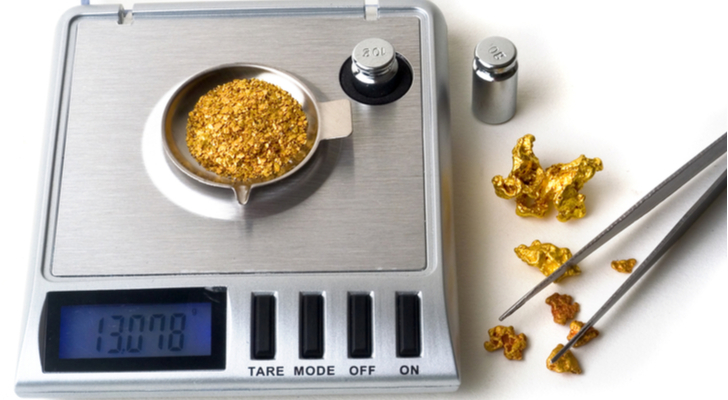 Case in point is Kinross Gold Corporation (USA) (NYSE:KGC). Just recently, KGC stock absorbed a painful body blow thanks to the White House imposing new Russian sanctions. Kinross will receive 20% of its precious metals production from Russia. On surface level, KGC volatility appears to make sense. Like every other gold miner, Kinross is fighting back after several frustrating years. It simply can’t afford a 20% production disruption. However, we shouldn’t forget that KGC is a Canadian company. Yes, Canada has sometimes earned a reputation as the U.S. lackey. However, it’s obvious that Russia’s Vladimir Putin has an issue with American dominance in geopolitical affairs. Kinross disputes that the fresh sanctions have negatively impacted the company. They report that Russian operations are running as previously scheduled. Of course, they would say that, but I don’t see an upside for the Russians to punish a Canadian miner. Russia’s economy isn’t exactly a shining beacon, and they’ll be hurting themselves unnecessarily. Thus, I think the extreme selloff in KGC stock is a contrarian opportunity. Furthermore, management has really cleaned out their cost of goods sold, as well as their operating expenses. The end result is a company that is finally profitable. This latest news is nothing more than irrational drama. Feel free to put KGC in your gold stocks to buy list. Just like with the broader market uncertainty, investors are better served going with strong companies stuck in weak circumstances. In this manner, you can increase your odds that the name you acquire is a genuine discount, and not one that keeps dropping! Iamgold Corp (NYSE:IAG) is one of my top choices for gold stocks to buy because of its fundamentals. Sure, IAG is well off from last year’s highs, but I’m more interested in the comeback probability. I don’t like risking money on a cheap stock simply because it’s cheap. With IAG, I have the confidence that I’m not throwing money in the wind. The last four years have been tough on every gold miner. That said, I’m impressed with how Iamgold has handled the industry pressure. Management maintained cost discipline, keeping SGA expenses stable. Moreover, they’ve significantly reduced other operating expenses, which helped produce profits in 2016 and 2017. On the balance sheet side, IAG has whittled down long-term debt. Free cash flow has generally turned positive, which should aid in the day-to-day operations. The only issue is that the markets don’t value management’s efforts, with IAG stock down 12% YTD. That said, I think Wall Street is missing the bigger picture. Gold is a long-deflated sector that’s overdue for a recovery rally. In addition, IAG has significantly streamlined its business. Any underlining tailwind could send it over the top! No gold stocks to buy list is complete without mentioning at least one speculative name: just the fact that you’re interested in gold means you’re probably willing to stomach some risk. My best gamble in this sector? I’m going to go with Yamana Gold Inc. (NYSE:AUY). A few years back, AUY was one of the top gold stocks by market capitalization. It’s still a highly respected name, but the company lost a significant amount of its luster. On a YTD basis, AUY shed more than 11%. Over the last five years, the company hemorrhaged a devastating 78.5%. Looking at its financials, you can see why investors have run for the exits. Revenues have been stagnant in a deflating sector, leading to sharp earnings losses. Unlike other companies, AUY hasn’t improved its balance sheet, and its free cash flow is a mess. On the flipside, management has expended significant effort curbing operating expenses. Subsequently, its earnings, while negative, are substantially paring losses. With enough time, AUY could potentially turn the ship around. How likely is this scenario? I’m not sure, which is the gamble. However, gold sentiment overall is positive, and will probably continue improving. Also, for what it’s worth, seasonality trends are favorable. It’s a long shot, but AUY has the right stuff to surprise! Article printed from InvestorPlace Media, https://investorplace.com/2018/04/gold-stocks-get-better-this-spring/.